We utilize cookies on this site and a cookie is a file that is placed on the hard drive of the device the user uses access to the site. The cookie contains information that will be used by the user regularly when on this site. Cookies are very common and are commonly utilized to save and store website login details and any customization a user may have put on the site. Bonusland.co.uk only ever utilize cookies for site operational purposes. Bonusland.co.uk may also collect IP addresses to assist with our security measures, troubleshooting issues, administration tasks and for statistical analysis. Your IP address may be logged by our servers if you visit a particular web page. Your IP address consists of a number that is unique to your device online. It should be noted that any information that is provided by any of our site users in any public area of the site will be classed as public information and all users should be aware of this. We recommend that all users are discrete and think carefully about disclosing any personal details or information. All users should be aware that any information that is placed on a forum, message board, chat facility or other public areas of the internet may be obtained and utilized by third-party operators. This may result in you receiving promotional information, advertisements or unsolicited messages. We are unable to exercise any control of third parties so please be aware that if you place any personal information on a public area of our site, you may be exposing yourself to risk.  Bonusland.co.uk will from time to time use contact details to provide you with information about our site and the services on offer that you have utilized or accessed. If you have provided with consent to contact you, we may also from time to time provide you messages for unrelated services. We offer users the chance to opt-out of receiving messages from us and this opportunity is provided when we ask you for your information. There are also opportunities to remove yourself from any contact list providing you with promotional material, although you may still receive important messages. What is defined as an important message is clarified in the section? Details on how to unsubscribe from communication with Casinos Online will be included in every communication we send to you. At Bonusland.co.uk , we may need to obtain personal information for you to be able to access selected parts of our site or to use certain services. We can collect information at various points, including when you register, when you voluntarily offer it, when you disclose it on public areas of the site or in any direct communication with ourselves. This personal information can be used for billing services, to help manage your account and to offer your promotional material. We will send out emails regarding your account and general or technical updates of the site. While it is possible for our customers to opt out of promotional material, it is not possible to opt out of the email communications that are considered a vital part of our services. We will from time to time utilize other firms to provide services which may include verifying identities, processing payments and providing software. Any external partner will only be able to access information that is required to carry out tasks and they will receive no further information. If required to do so by law, Bonusland.co.uk may disclose personal information of our users. If a third party claims that you have infringed upon any intellectual property rights that they have and can provide reasonable verification of you have done so, we may provide your personal details. If Bonusland.co.uk is sold, merged or consolidated, it may be that your personal details are transferred to the new company. You should be aware that any information provided by yourself to us may be located and then processed outside of the UK. This information may be processed in any location that Bonusland.co.uk, or any out affiliates, agents or subsidiary partners operate. Your patronage of the site provides your consent to us transferring or processing your information away from the UK. We will always take strong steps to ensure your information is well protected, including utilizing respected security methods and technologies. In ensuring you stay safe online and your information remains secure, you have a role to play. You have the responsibility for ensuring your ID and passwords remain secure and you should take care to ensure your information remains safe at all times.